I´ve had this record for a long time but only last week I found another one of Mike Roger 45´s so it makes sense to post them together. The German Rock´n´Roll Records Forum had the Mike Roger story a while back so I will only copy from what they wrote. Mike Roger´s real name was Hermann Glöckler and he was from Nürnberg, Bavaria. His backing band the Machine Guns were actually a Indo-Rock group, Indonesian born musicians from Holland. 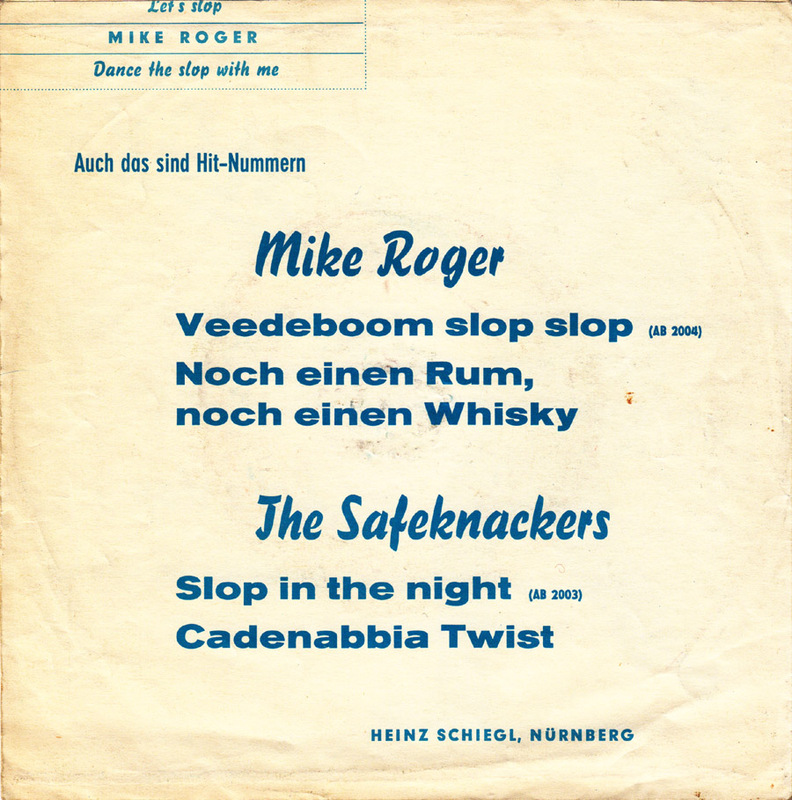 Let´s Slop hit #10 of the German charts in 1963, making Mike Roger briefly the German “King Of The Slop”. 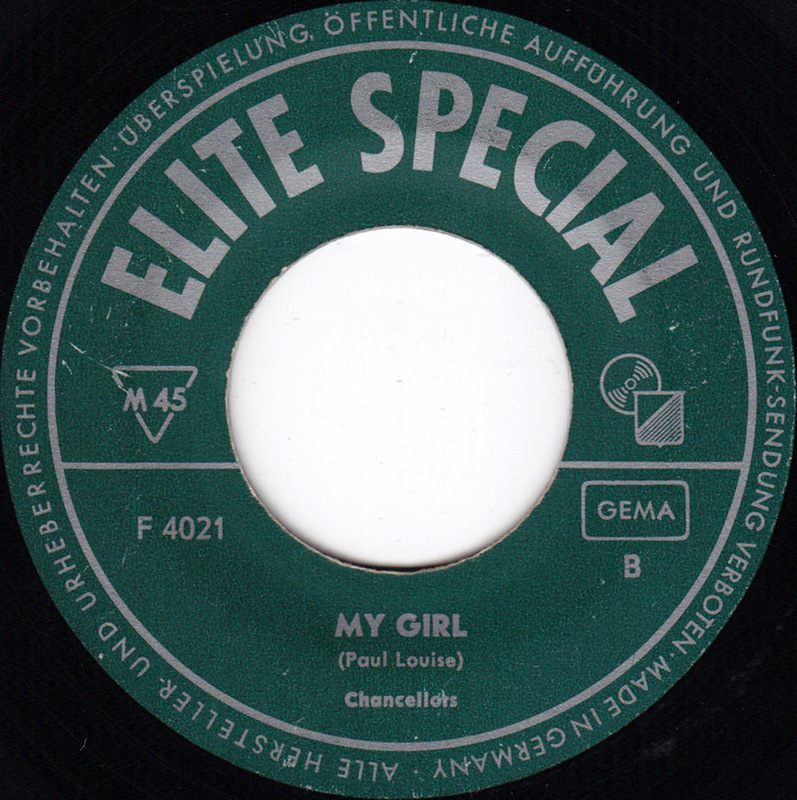 The small Abanola label was started by a friend of Mike Roger, Heinz Schiegl, because he loved the group so much. They shortly ran into legal trouble with Ariola who threatened to sue them because of the similarity of the name and was then changed into Abanori. The change hurt the sales of the follow-up Veedeboom Slop Slop but at least Tony Sheridan recorded a version of that song for Polydor. 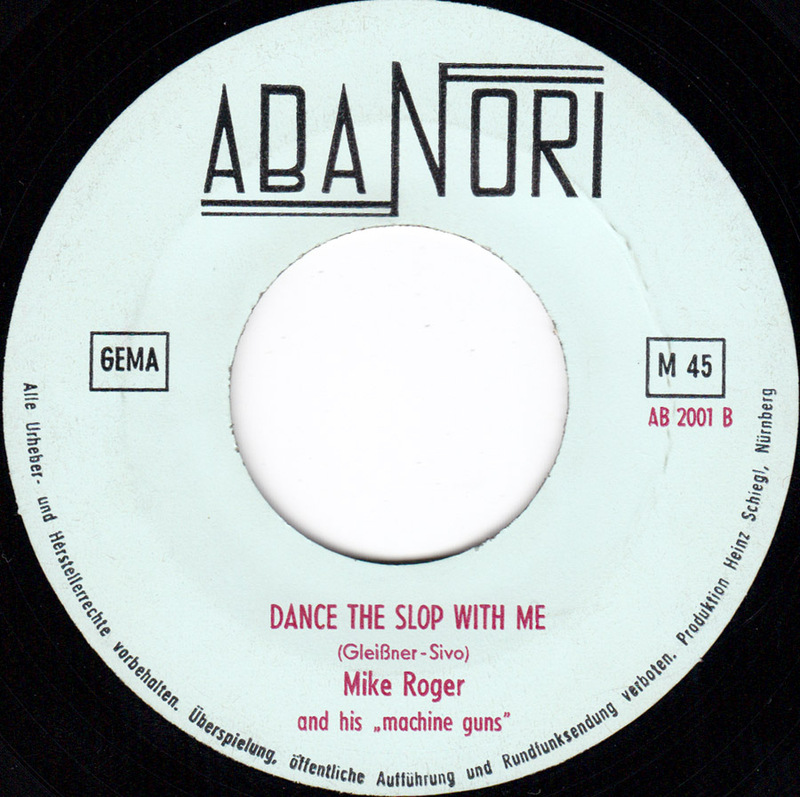 Mike Roger later recorded for Ariola and Polydor himself, but to little success. He continued to play the local scene until his death in 1980. A privately pressed LP of his hits was released posthumously in 1984. 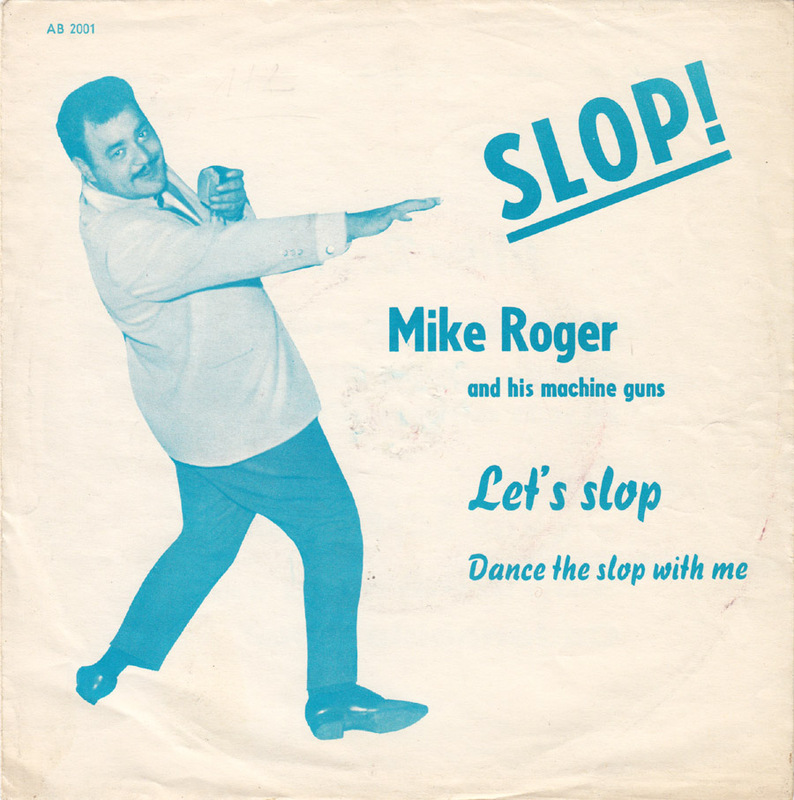 So here´s Mr. Slop from Germany: Mike Roger and the Machine Guns! 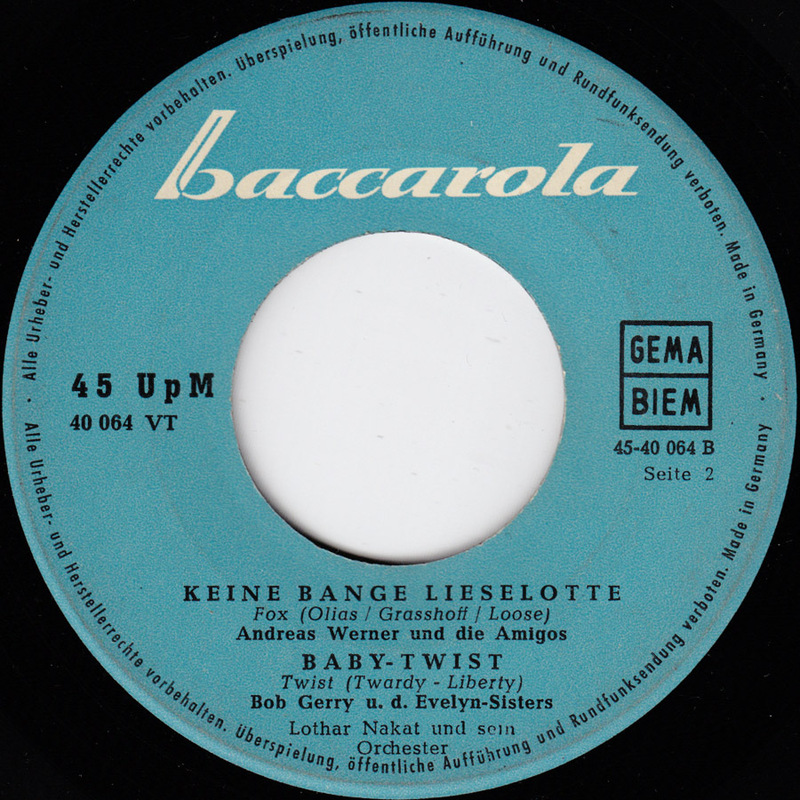 Der Liebestraum als Twist is the craziest and fastest German twist song ever and Bob Gerry recorded the craziest and fastest version of it for the budget label Baccarola. I´ve always loved the over-the-top wackiness of that version. 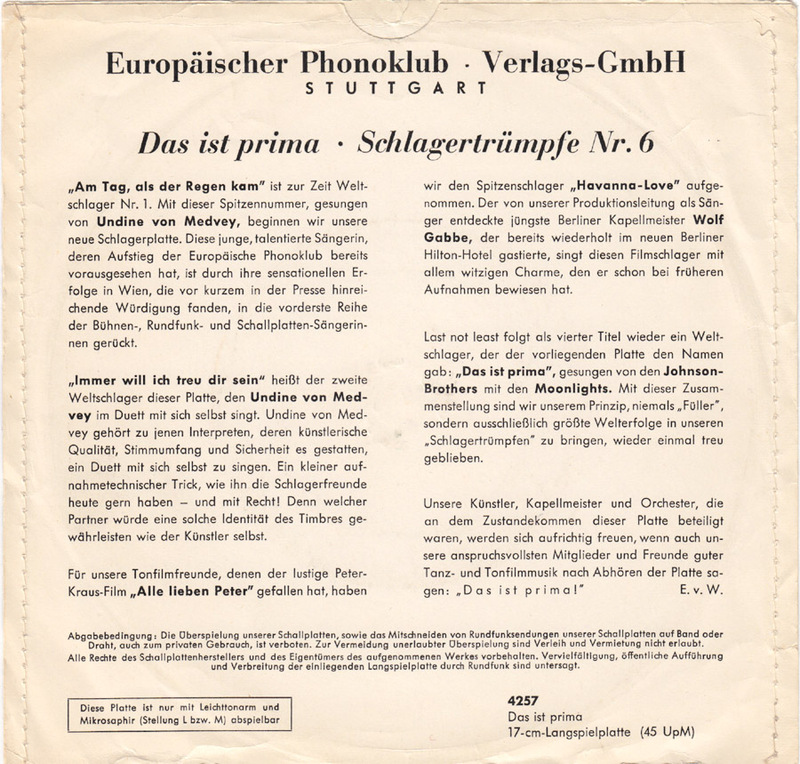 I posted the record two years ago here but also wrote about Der Liebestraum and Christian Bruhn , the original artist that recorded it, two weeks ago in my weekly Jungle World column here. My article ended with the sentence: whatever became of Bob Gerry is unknown. I´ve had the record for 30 years and never knew who Bob Gerry was. While browsing in some older articles in the German Rock´n´Roll Records Forum a couple of days ago I read that Bob Gerry was one of the pseudonyms that Werner Hass used for his Baccarola label recordings. And then I also got a E-mail from Hartmut who had read both articles and hinted that it wasn´t such a mystery who Bob Gerry really was. 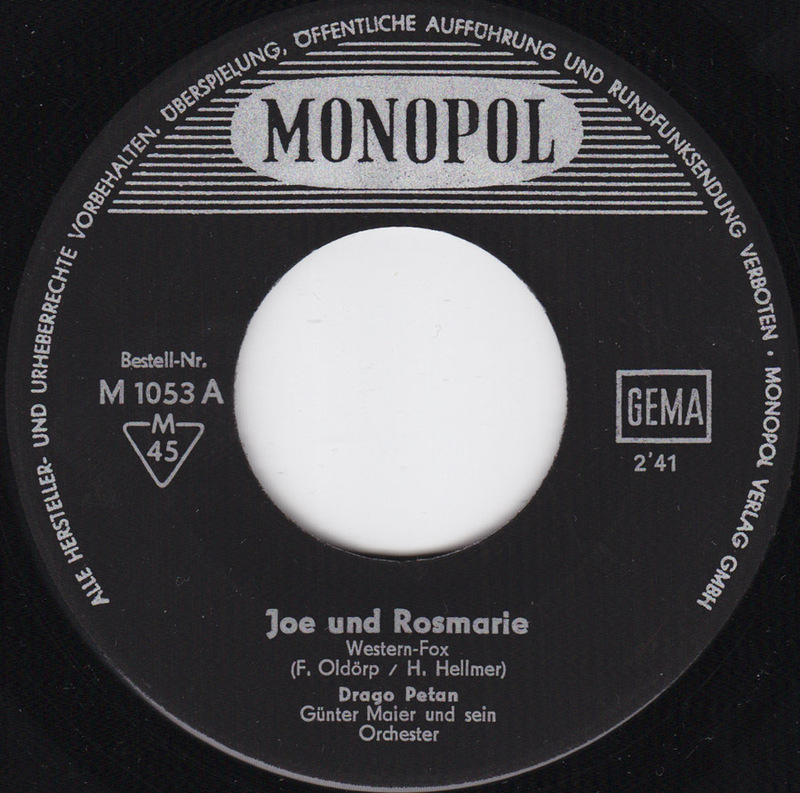 There is even some information about Bob Gerry/Werner Hass in English on this Joe Meek tribute site. Coincidentally I had written a little bit about Werner Hass in one of my last post . While answering Hartmut´s mail I realised that I had two more Baccarola Ep´s that feature Bob Gerry. They were sleeveless, sitting in one of the boxes to take to our next Auktion/Destruktion happenings. I obviously never thought too highly of them but now is a good opportunity to post them. 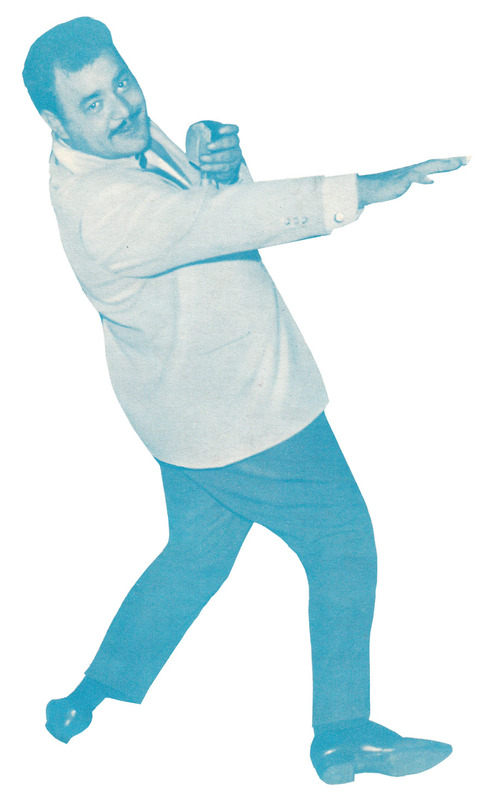 Baby-Twist was a hit for Will Brandes in 1962. 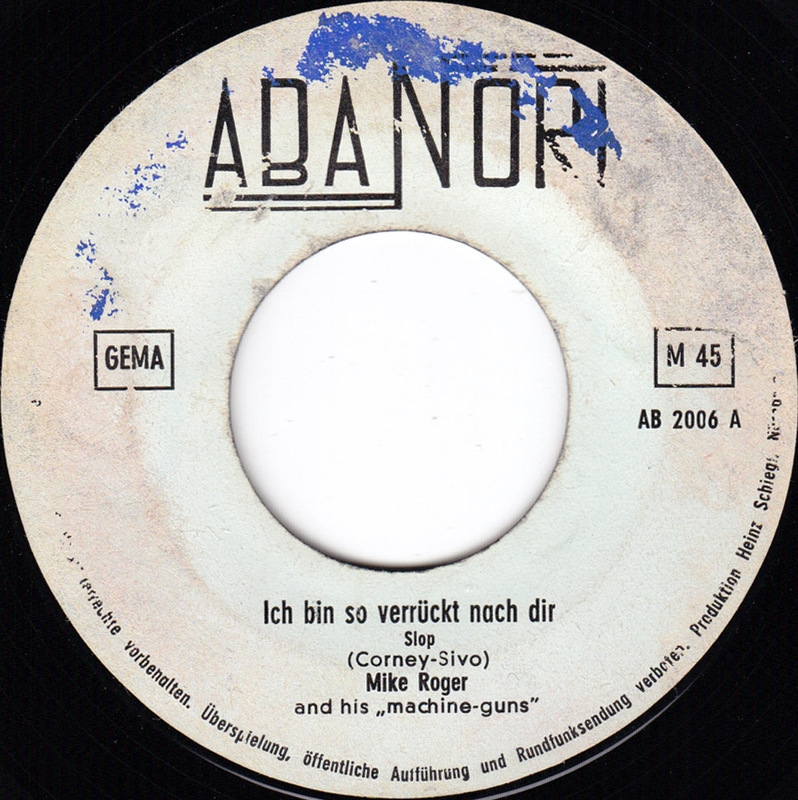 You can hear Will Brandes hilarious German version of the Everly Brothers Wake Up Little Suzie (Wach auf little Susie) over at at the Evil Pain Clown blog. 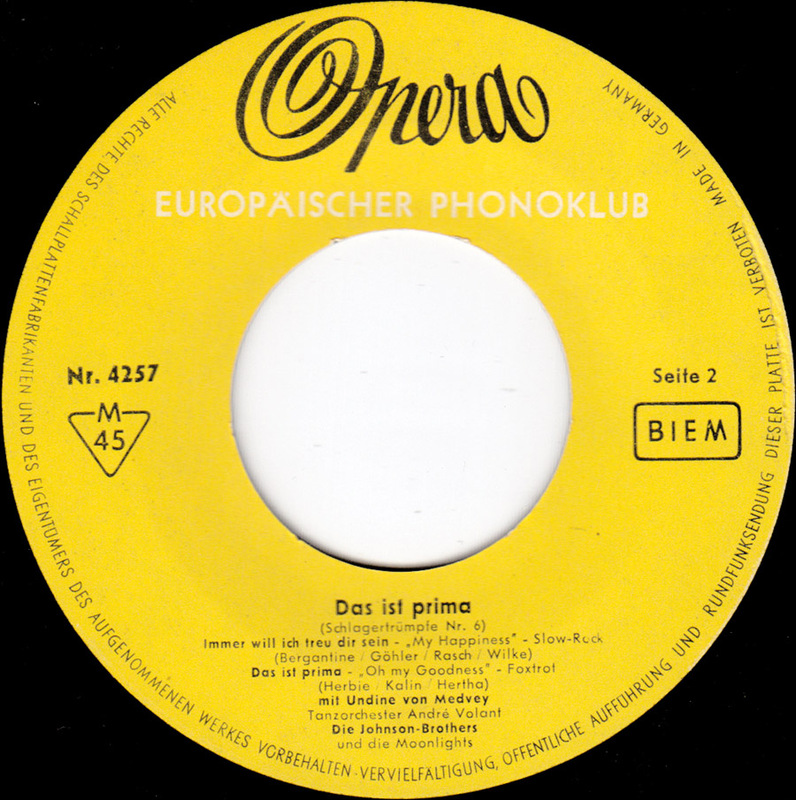 Das ist prima (That´s neat) is a German version of Oh! My Goodness by the Kalin Twins, who sound like the Everly Brothers on this one. 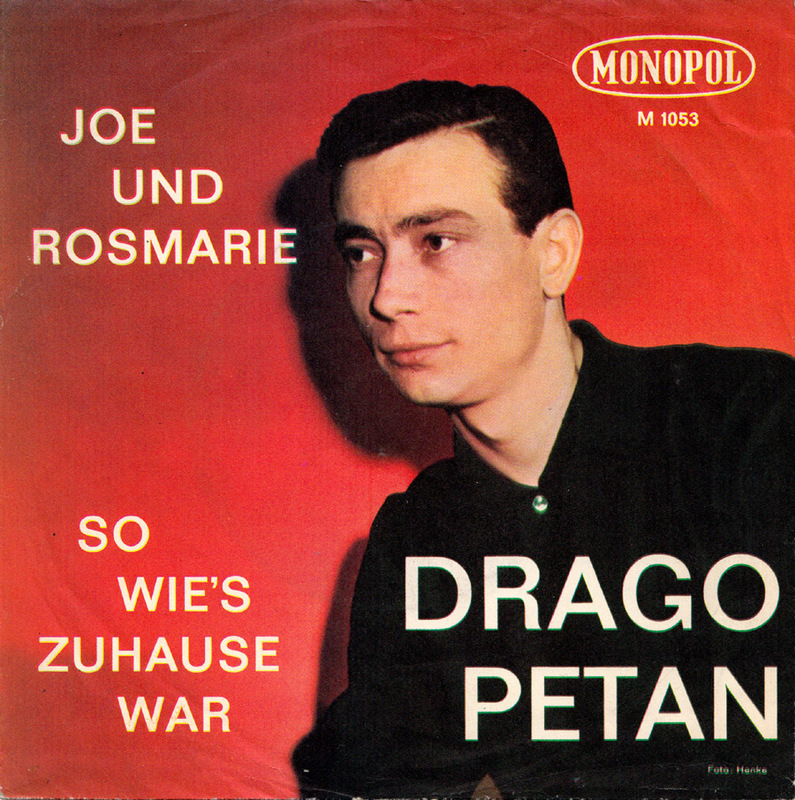 I bought the record at the fleamarket last Saturday, three singles for two Euros. 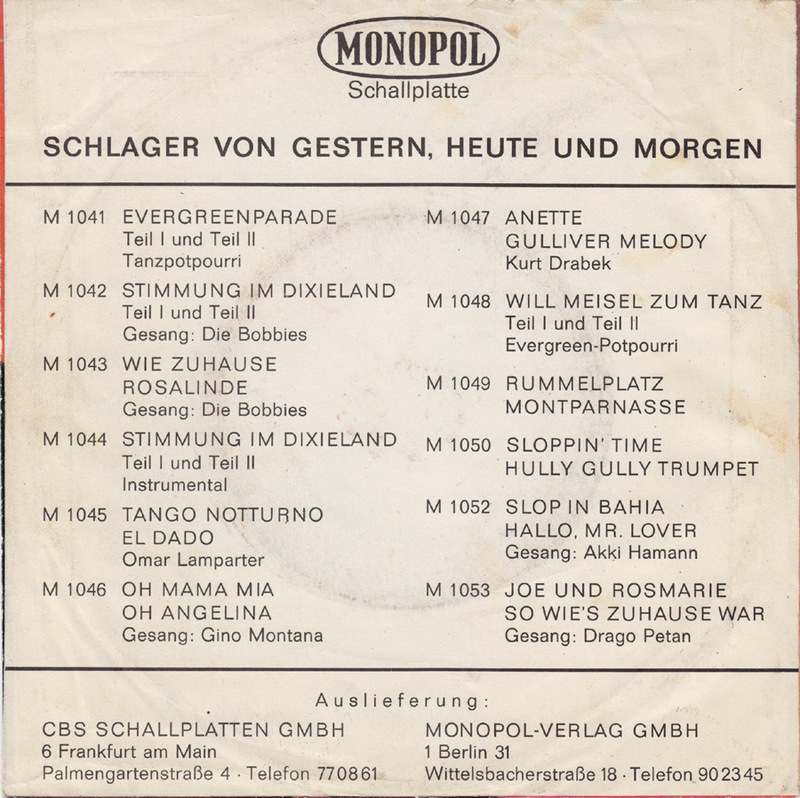 This is on the German supermarket label Opera, that released the German version of Tutti Frutti that I posted some weeks ago. 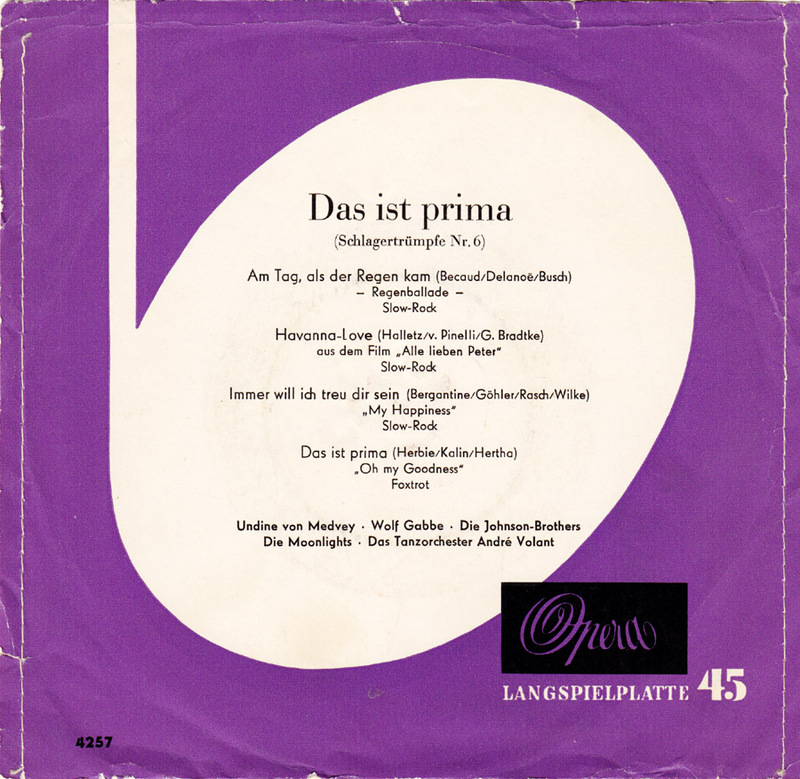 I know there was more rock´n´roll on the Opera label, but that´s all I´ve got.